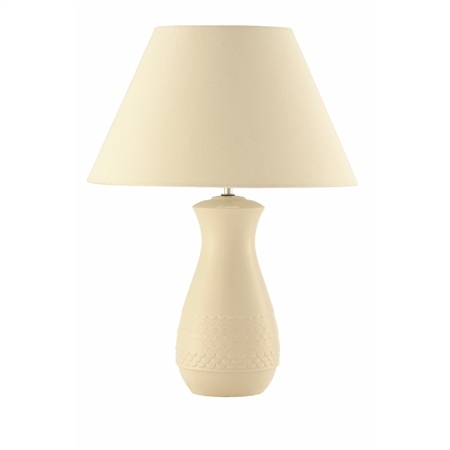 Light up your living space to perfection with the majestic Belleek Living Cascade Lamp and Shade, beautifully embossed with hand applied detail. This Cascade design reflects patterns found in flowing water and is ideal for creating a statement piece in any room, either turned on or off. A beautiful lamp. Shade is good too. Hello. Where is this lamp manufactured? Approximately how wide is the shade?